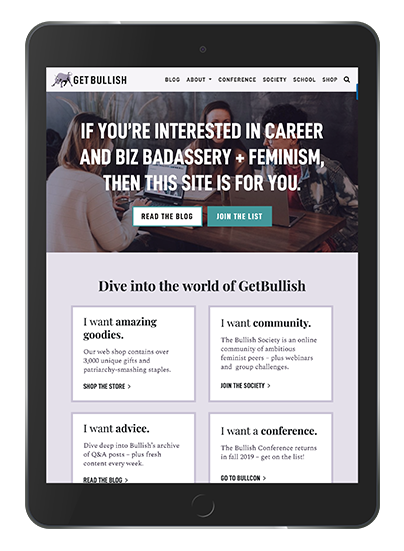 GetBullish is a career-oriented blog, conference, society, and store. We redesigned their website to highlight their offshoot ventures as well as years of content. Refreshed GetBullish.com’s branding. 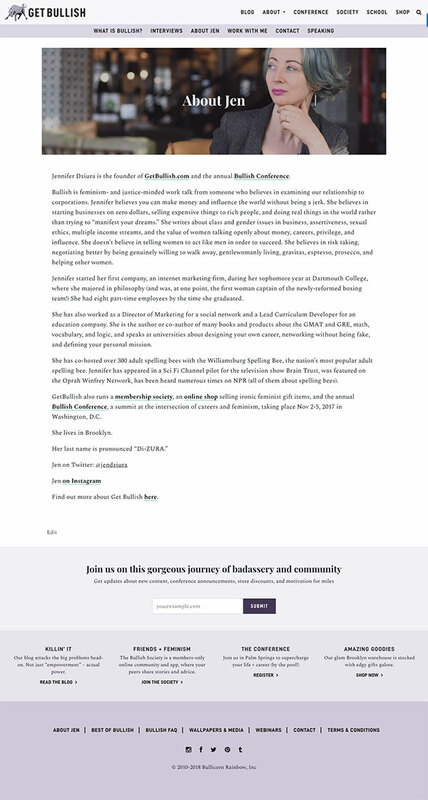 We emphasized the site’s content with a modern, clean design that stayed true GetBullish’s unique brand. 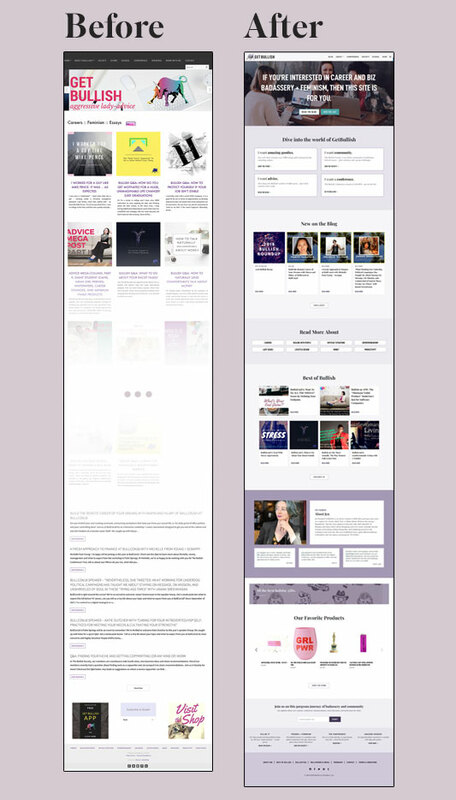 Improved the site’s usability by refining the visual hierarchy. Since GetBullish.com is the home base for their various spinoffs, it’s easy for the audience to get overwhelmed when browsing. We reorganized the navigation, restructured page layouts, and redesigned the overall blog experience. Integrated advertisements for side projects within the site itself. We included sections to advertise for the conference, society, and store throughout the site itself.